Lentil Dip Recipe: Creamy & Vegan! | Simple. Tasty. Good. 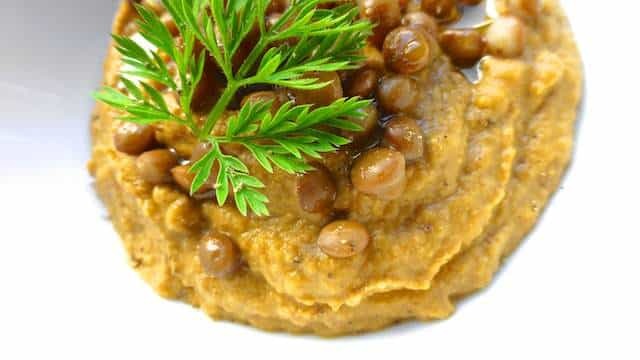 Lentil Dip Recipe: Creamy & Vegan! So here it is! 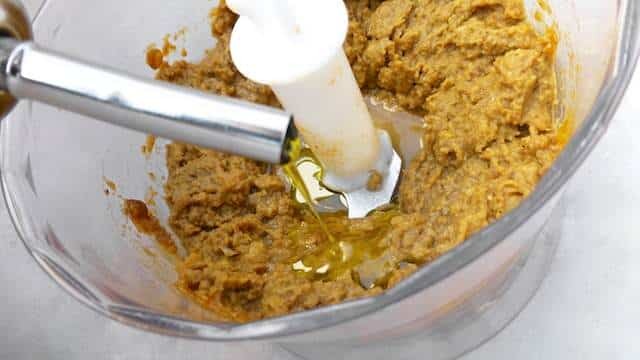 Needless to say that you can make similar dips with almost any type of canned pulses. 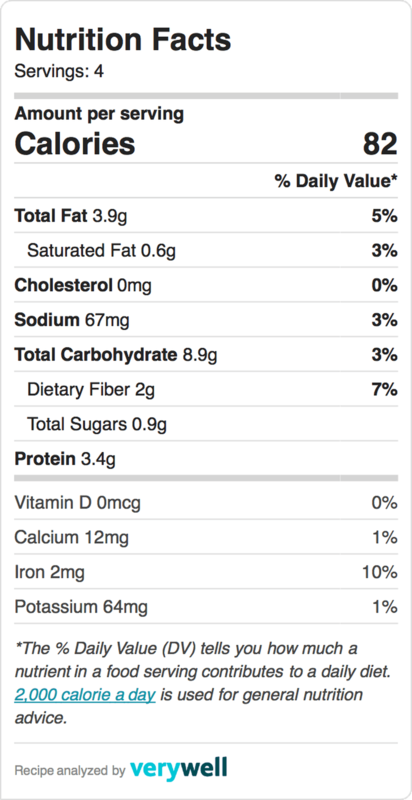 Love lentils? 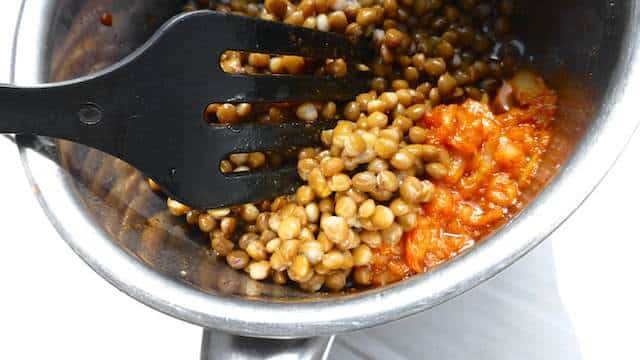 Then also check out my cute little lentil fritters, another great veggie appetizer bite! Pour the lentils in a colander and rinse them gently. Then let them drain. In the meantime add some olive oil to a saucepan and place it over medium heat until hot. Then add the chopped onion and garlic. 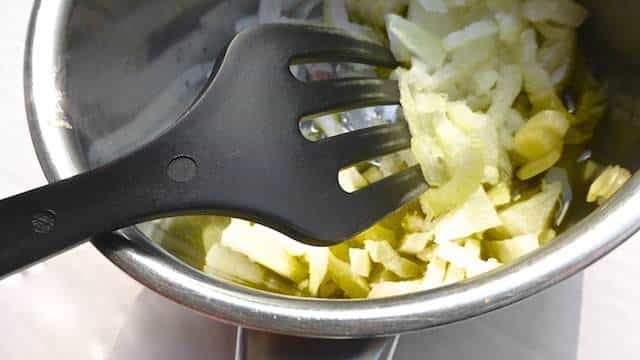 Stir well and cook for about 3 to 4 minutes until the onion softens. Then add the tablespoon of tomato paste. Stir again. 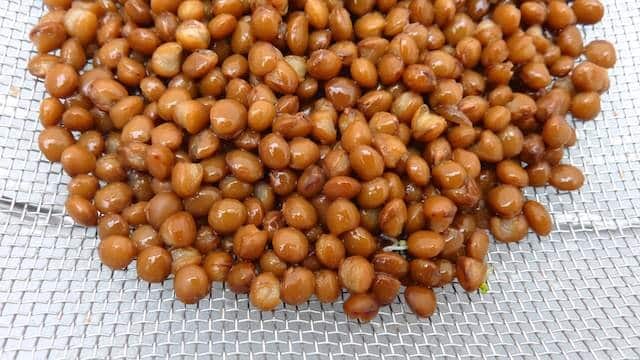 Then add the drained lentils (keep a tablespoon of lentils aside for garnish if you like). Cook for another minute. Then season the lentils with a pinch of pepper, salt and half of the curry powder. Stir the lentils well. Then take the pan off the heat and check the seasoning. Add extra pepper, salt or curry powder to taste if necessary. Let the cooked lentils cool for a few minutes. Then transfer them to a blender. 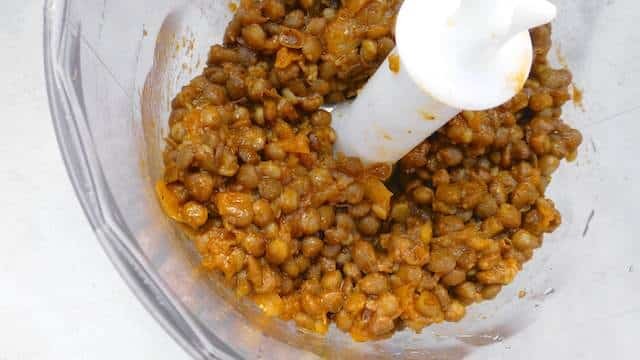 Blend the lentils into a fine and fragrant paste. Also add 2 tablespoons of water and a little drop of olive oil. Blend until the lentil dip is creamy. Then check the seasoning one last time and add extra pepper, salt or curry powder. Scoop the lentil dip in a clean serving bowl. 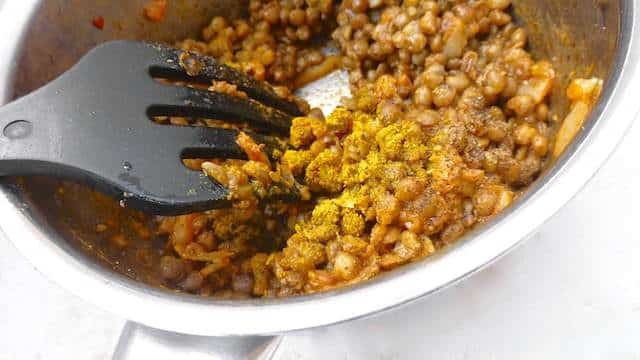 Garnish with lentils if you kept some aside. Sprinkle with extra olive oil and a last dash of freshly ground black pepper. Serve lukewarm or at room temperature.